How many travelers visit Cancun or Cozumel each year? Millions! Now, how many have gone a little further south to explore the nations in Central America? While Cancun, Cozumel and the Yucatan are wonderful destinations, it is quite likely that you have a client who may be looking for something different. Maybe something more cultural. Perhaps something more natural and less man-made? Perhaps something more historic? Perhaps something still undiscovered by the masses for bragging rights? Just maybe, Costa Rica, Belize, Panama, or Guatemala might fit the bill. Costa Rica is a lush paradise guaranteed to satisfy any traveler hungry for adventure. The untouched wonders which await in this tiny country are so varied and so rich, they beg visitors to return again and again. 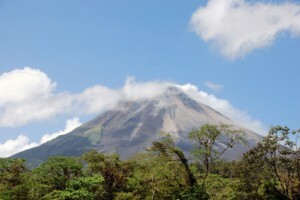 National parks and reserves account for more than one quarter of the land in Costa Rica. Pair this with Costa Rica’s rainforests, seacoast and rivers and you will be hooked. From jungle canopy to raging rapids, Costa Rica will delight and amaze you with its natural beauty. Panama is the hidden eco gem of Central America—go now, before it is discovered. This narrow slice of land pushed up from the ocean floor four million years ago to bridge the gap between the North and South American continents. It boasts the most protected land in all of Central America, with 40% of the entire country declared national parks. Picture long stretches of unspoiled white sand beaches, virgin rain forests, misty cloud forests, over 900 species of birds, 1500 species of trees and over 7000 plants. Panama is a real tropical paradise for adventure travel enthusiasts. The best part of all — it’s yet to be discovered. A visit to Panama is being let in on a little secret that others will someday discover. Guatemala is the Mayan heartland of Central America and often called the land of eternal spring because of the natural wonders it possesses. There are 33 volcanoes which are the highest and most active in Central America, huge volcanic lakes and winding tropical rivers, miles of pristine jungle and thousands of indigenous species of flora and fauna. The streets are alive with the Mayan Indians dressed in blazing colors and bustling markets. The architecture is colonial with columned courtyards and elegant stucco facades. Historically it has more Mayan ruins than all of Mexico, the most famous of these being Tikal – the largest of the Mayan cities. All of these ingredients make for a fascinating cultural playground for adventure travel. Surrounded by mountains, cascading waterfalls and jagged towering cliffs, Belize is also a rich natural wonderland that was once the heart of the Mayan Civilization. 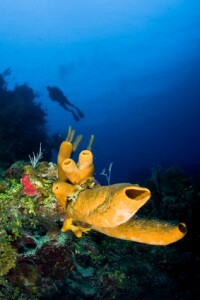 This tiny Central American nation is just 165 miles long and boasts the largest barrier reef in the northern hemisphere. But this is not only a destination for water sports enthusiasts; Belize has the largest undisturbed area of rainforest in all of Central America. 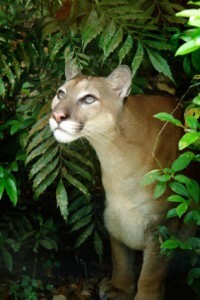 It is a lush paradise that is home to howler monkeys, jaguars, pumas and hundreds of species of birds and mammals. Belize is amazingly rich in culture and has over 600 Mayan ruins, many of which have been recently discovered and ar only now being excavated.